Crowded, Dirty, Nothing close like an airport. That is Kuala Lumpur International Aiport - Low-Cost Carrier Terminal (KLIA-LCCT) to me. 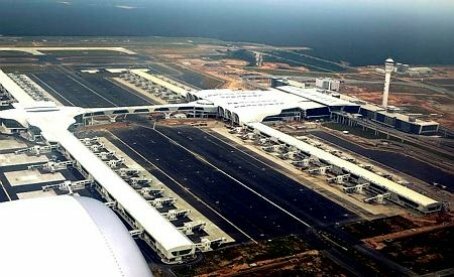 Tan Sri Tony Fernandes, the co-founder of Air Asia suggested that we should have a designated low-cost terminal instead of using the main terminal of KLIA. So, Malaysia Airport Holding Berhad (MAHB) opened KLIA-LCCT for that purpose. But it is so congested since low-cost carrier (LCC) has become very significant to the society. Every year I'll travel by air to Kota Bharu, Kelantan and yes I love travelling, I've set my target at least one vacation each year. So sometimes, I'll travel with Air Asia and this particular LCC operates in KLIA-LCCT which is an uncomfortable terminal for me. However, for the past few years KLIA2, the largest LCC terminal was planned and it was launched on 2nd May 2014. By tomorrow (9th May 2014), all Air Asia operations will be transferred to KLIA2 following the other airlines like Malindo Air, Lion Air, Cebu Pacific, etc. Even though LCCT was not a good experience, still we should appreciate its services and facilities provided to the passengers. Thanks for everything and farewell to KLIA-LCCT. Hello KLIA2! the largest low-cost carrier terminal in the world. I'll be using this terminal for the first time in July, InsyaaAllah.